There are just a few more weeks before Australians will be bearing all (or nearly all) in itsy-bitsy, teeny-weeny bikinis and Speedos. That means there are just a few more weeks to get rid of the last of the extra Winter kilos, to banish excess water weight and cellulite, and to give the skin a healthy beach-ready glow. 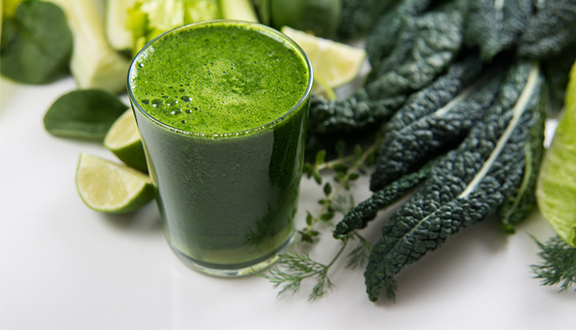 A juice cleanse frees your body from the burden of digesting solid food, especially hard-to-metabolise items such as meat and dairy. Without all that mess in your digestive tract, your body can more efficiently and effectively release other toxins that are poisoning your system and affecting your health and well-being. Compare that to the spike and crash of a typical breakfast of toast and coffee! What can you do if you don’t want to invest in an expensive juicer? You can purchase pre-made juice cleanse kits, but they can be costly. “I just use a blender,” says Brittany. “I like pulp, so I don’t mind a thicker drink.” If you prefer less pulp, you can press the blended fruits and veggies through a sieve using a spatula to squeeze out as much juicy goodness as possible.